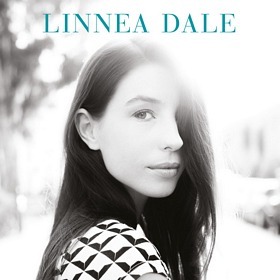 Although the CD release seems to have been delayed until May 9th, Linnea Dale‘s new album Good Goodbyes was released digitally last Friday, April 25th, and is now available on iTunes, Amazon, Spotify and Wimp. 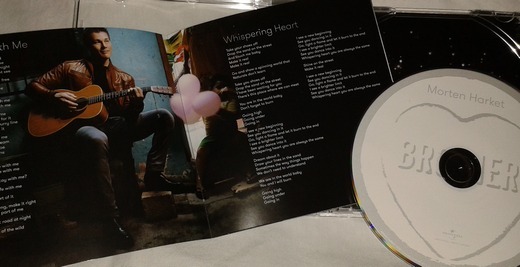 The album includes three songs produced and co-written by Paul: “Better Without You”, “Sweet Life” and “With Eyes Closed”. Paul is also credited with keyboards, bass, drums, programming and guitar on all three songs. “I loved her voice from the first moment. It doesn’t matter what kind of microphone or filters you use. It’s all there from the get-go”, Paul tells VG in an interview today. “She has her own knack for melodies, and an atypical way of using words. It flows beautifully”, he says. “This is the first time I’ve done something like this, and I liked it. It felt good; a different perspective. But I was under the impression I wouldn’t have to do any promo work, so this is a bit of a downer”, Paul jokes. “There are constantly new and cool artists emerging back home in Norway. I’d need to look into that. But I really loved Susanne Sundfør’s “White Foxes”. Morten is the main guest on this week’s episode of VGTV’s online talkshow Tørnquist Show, which can be viewed at vgtv.no. Host Einar Tørnquist had talked to some Harket family members in preparation for the interview, which resulted in some unusual questions about Morten’s teenage interests; the caiman he kept in a bathtub, the orchidarium he had in his bedroom and the butterflies he imported from abroad. He was also asked about the Rock in Rio concert and the hilarious megaphone incident in Salem, 2010. Meanwhile, the Brother album has entered the German album chart at #11 in its first week, while it’s #62 in Switzerland. And details of the next single “Do You Remember Me?” has been posted on the French site qobuz.com. Apparently it’s released on May 12th, with the same cover image as the UK promo CD. Update (25/4): Morten was a guest on Kveldsåpent on NRK P1 tonight. The interview can be heard at radio.nrk.no. 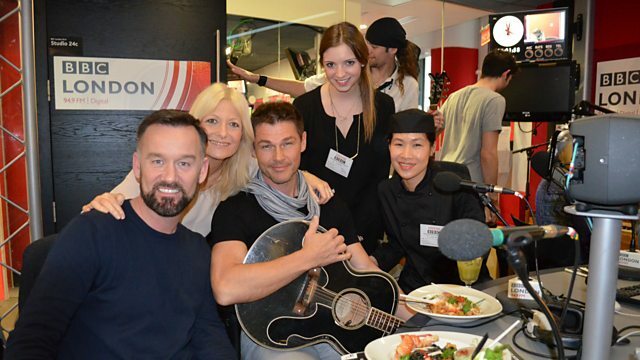 Update II (26/4): There is a new interview with Morten at side2.no today. 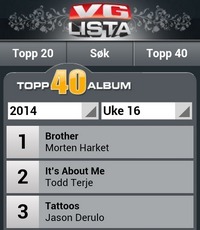 Morten’s new album Brother has entered the Norwegian album chart VG Lista Topp 40 at number 1 today. This is his fourth solo album to reach number 1 in Norway, following Wild Seed (1995), Letter From Egypt (2008) and Out Of My Hands (2012). In the UK, the album initially appeared on the midweek chart at #23, but has since fallen down to #32 and then #39. Update: Brother enters the UK album chart at #56, with first-week sales of 1,461 copies. In comparison, Out Of My Hands sold 3,454 copies in its first week two years ago. Update II: Brother is “album of the week” on the Ken Bruce show on BBC Radio 2, from 21 – 25 April. “This album is a tribute to the diversity among us”, Morten tells Vårt Land. 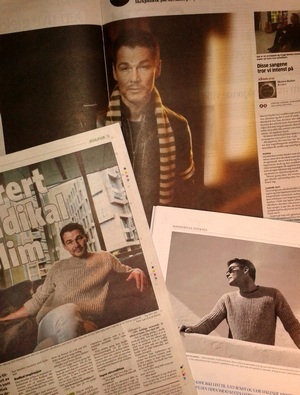 A few additional interviews with Morten have appeared in the Norwegian press today. In its album review on Friday, the Christian newspaper Vårt Land wrote that “Brother is without a doubt his most existential, wonderingly, even sacral and religious album that he’s made on his own”. 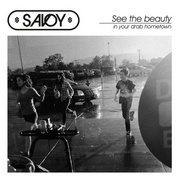 “Our reviewer feels that the lyrics on this album are deeper than in a long time. Is it your Christian background that shines through? – Absolutely. I still have the same Christian faith that I grew up with, but I can’t use that as a starting point, because I wish to communicate with people who don’t share the same faith. That means my starting point can’t be that God created us, that Jesus is his son and that he gave his life for us. If I am to communicate, I need to start somewhere else and trust that these things will get across on their own, which I believe they will. I strongly believe that the search process in itself is valuable. It’s the questions that make us spiritual people, not the answers. There are no eternal answers, only eternal questions. Christians will also benefit from questioning everything. Including the scriptures and the history. That will make you a true child of God”, Morten says. 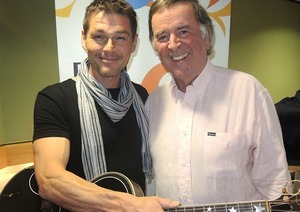 In other news, Morten will be a guest on Sounds of the 80s on BBC Radio 2 on Saturday, April 19th. And a-ha.com has announced plans for a 2014 fan weekend in Oslo on November 14-15, which would include “a fan party on November 14 and an ‘intimate’ concert with Morten”. Morten’s concert at KüçükÇiftlik Park in Istanbul, Turkey, on May 2nd has been cancelled. This is due to poor ticket sales, the venue announced on Facebook. Ticket buyers are now getting e-mails with refund details. 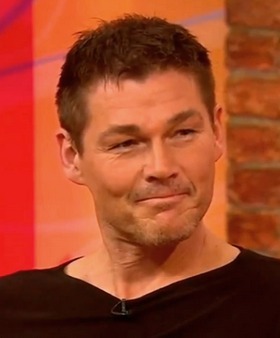 No one seems to have told Morten about it yet, though, as he keeps mentioning how he’s looking forward to playing in Istanbul in several UK live interviews today. We are sorry to have to inform you that Morten’s concert in Istanbul has been canceled by the promoters. Morten was disappointed to hear this, as he was very much looking forward to his first concert in Turkey. We are sorry about any inconvenience caused by this, and Morten hopes to return to Turkey at some other time. 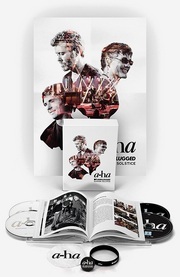 We sometimes hear from fans who would like to have a chance to remix an a-ha or solo track, using audio stem files – most recently, a fan named Carlos asked Paul this very question in his Q&A with a-ha.com. Paul is interested to hear your mixes of his new song ‘Manmade Lake’, and he has made the stem files available here on a-ha.com! Head over to a-ha.com to download the stem files and read all the details. 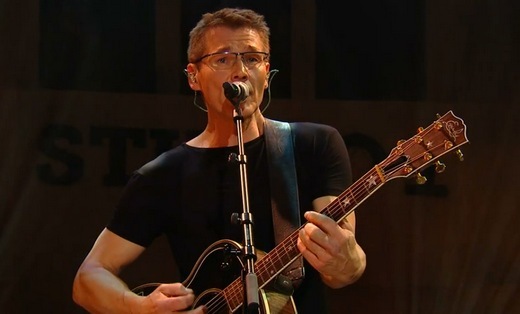 Morten’s Studio 1 concert, which was taped in Oslo on February 24th, aired on NRK1 in Norway last night. Six of the seven songs performed were included in the TV broadcast, which can be viewed online at tv.nrk.no: Whispering Heart / Brother / Do You Remember Me / Spanish Steps / A Kind Of Christmas Card / There Is A Place. An additional song, Safe With Me, is available as a bonus video here. Morten was joined on stage by Per Lindvall (drums), Christer Karlsson (keyboard), Peter Kvint (guitar) and Lars Danielsson (bass). The concert will be repeated April 9th on NRK2. 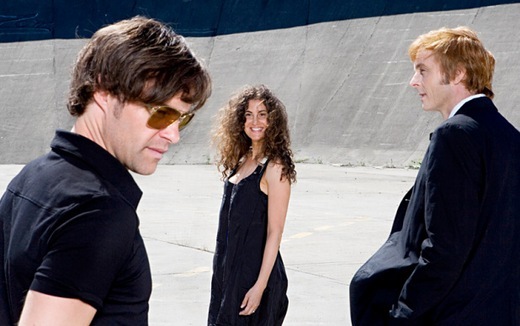 Frode, Lauren and Paul in 2007. 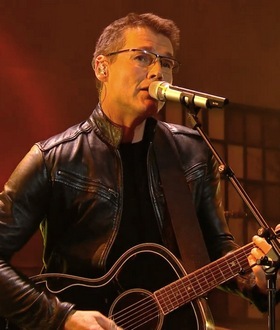 The second part of the Q&A with Paul is now up on a-ha.com. “The idea to end the band was forced. Not natural. It felt like a business decision to me. Just someone’s bright idea. We can still play, still sing, we still have tons of songs to record. And we still have a huge loving audience! Read all of his answers, including info about the cover image of “Manmade Lake”, what he’s been listening to lately and his thoughts on songwriting, over on a-ha.com. For more updates from Paul, follow him on Facebook, Instagram and Soundcloud. The festival dates keep coming; Morten was confirmed for Elvefestivalen in Drammen today, where he will perform on August 22nd. The Ylvis brothers will also appear at the festival. The ticket sale starts via Billettservice on April 7th.